Examples of idioms. These idioms are great to have your students illustrate them. 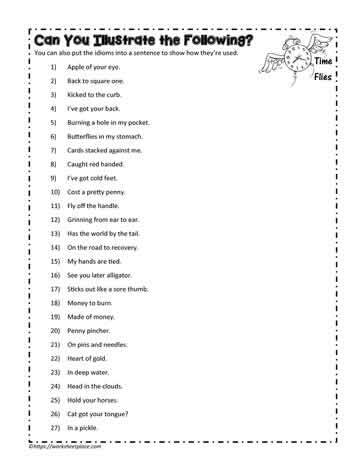 4th and 5th grade idiom worksheets and unit.